Guys, have you ever known about Stannp Postcard App before? This great app allows you to have more enjoyable experience in sharing your own pictures. From only sharing photos online, this free Mobile Postcard App may modify your wonderful photos –on your phone or Facebook account- into real printed and personalized postcards that can be sent to family and friends anywhere. New users will enjoy the first free mailed postcard. For next postcards, it does charge you a small cost for postage; 1 credit for UK destinations and 2 credits for other addresses worldwide. If you have no intention to create and send any postcard, you still can share your customized photos on Facebook wall or email them to anyone –for free. I always think that pictures are a great way of keeping a documentation of the places you’ve visited. Since you love to share your travelling experience, you should choose and apply the suitable application program to ease the photos sharing during your next travel. 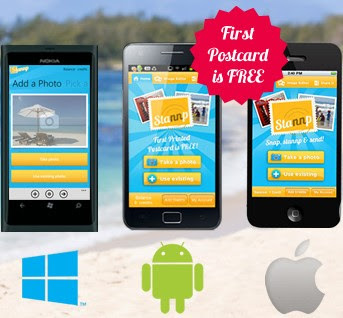 Stannp is the right Mobile Postcards App that you should download and install in your smart phone. It would be easy for you to create and send a real glossy postcard with your own photo; just simply add cool effects on the uploaded photo, write a message and the recipient’s address. Isn’t it really worth to try?